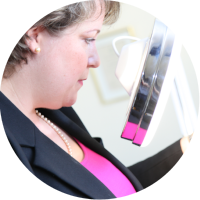 As some of the patients who come to see me at Sussex Trichology have eyebrow hair loss which affect the eyebrows, they often lose their eyebrows or they thin. It is great to see the confidence that returns to a patient of mine who is understandably very insecure about having no eyebrows (and sometimes no eyelashes also). It is fantastic to refer to someone local, fellow businesswomen, and also I have had my eyebrows tattooed; I am pleased with the result, so would personally recommend Amy.